Too often at Physiologix we are seeing injuries in kids at school due to bad posture. This results in pain for the child, the taking of pain relief medication (not good for the stomach, liver or kidneys long term) and some costly physio bills. As parents, making sure your kid’s posture is good when doing their homework and encouraging them to take regular break to get up and move can make a huge difference. At Physiologix we believe prevention is always better than a cure – please read on below but if you have any questions, feel free to call us on (07) 3511 1112 or email us from the contact us page of our website. 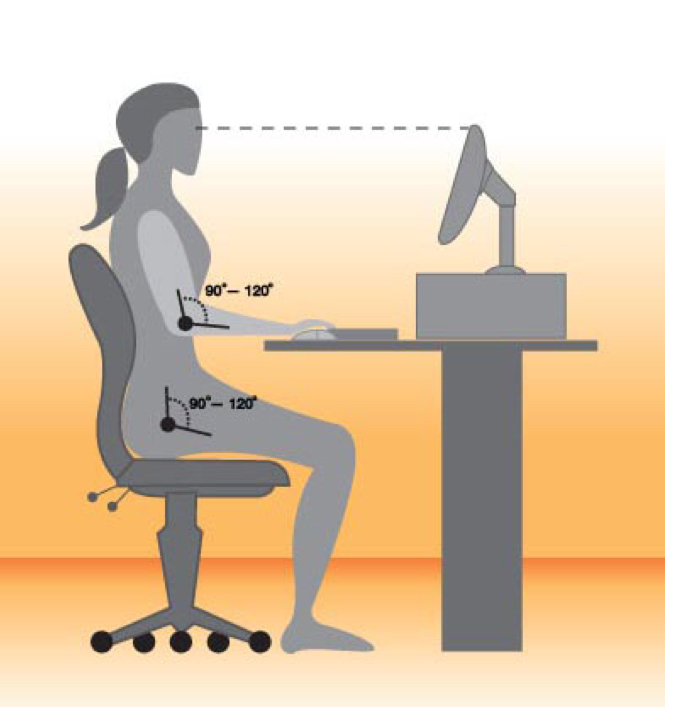 Sitting for long periods has been proven to cause problems such as back, shoulder and neck pain. Moral of the story - get in the habit of sitting well and get up often! • Use a reminder on your computer – set it to every half an hour. When your reminder goes off - roll your shoulders in small circles three times, move your neck side to side, twist your body around left and right, stretch your arms up in front of you, overhead and behind. While you are doing this, look off in the distance and let your vision blur to rest your eyes. With the start of the new year and then new term I am sure you are being bombarded by information and trying to decipher what is relevant and what is not. But 4 out of 5 primary school aged Australian kids are not doing the minimum recommended amount of exercise, an hour of moderate to vigorous physical activity a day; fewer still are doing any strength of weight based activities (1). Its the start of the new school year and thats the perfect time to start new routines. So what you may ask. Yet physically active kids have been shown to be more social and therefore better equipped for school. They are less susceptible to depression and anxiety and they display better memory and thinking skills. Physically fit kids have been shown to have greater volume of grey matter in the brain, important for mastering the skills that help us get things done, learning, motor skills and visual processing (2). Knee pain and/or stiffness with weight-bearing. Difficulty walking up stairs or getting up from sitting. Difficulty getting in and out of the car, putting on socks or picking things up from the floor. OA was previously thought of as a “wear and tear” and that the joint was worn out. This led many people to believe they cannot and should not be physically active with OA. This is not correct!! In fact, many studies have shown that cartilage actually needs moderate load through physical activity to regenerate itself. Exercise will make you feel better. The current national and international clinical guidelines recommend patient education, exercise and weight loss (if needed) as first line treatment for OA. 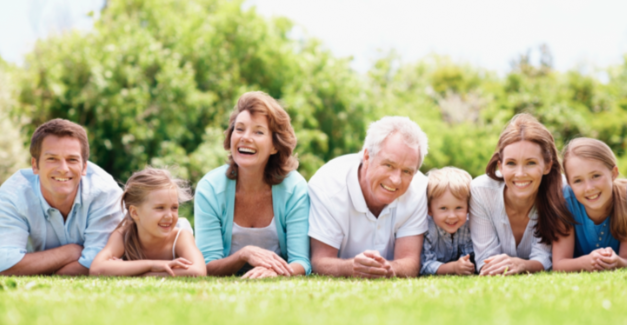 Good Life with OA in Demark (GLA:D) represents a nationwide evidence-based initiative that follows the current guidelines for best treatment of hip and knee OA . Research from the GLA:D® program in Denmark found symptom progression reduces by 32%. The program includes an assessment and physical tests performed by a trained GLA:D Physiotherapist, patient education sessions and a Physiotherapist supervised group or home exercise program performed twice per week over 6 weeks. The exercises are designed specifically for people with knee and hip OA with many level and progressions based on your level of pain and function. The idea is after 6 weeks you have the movement, quality and control needed to continue and become a part of your every day life. When you first hurt yourself, known as acute pain, the focus of your Physio treatment will be to reduce the pain at that location using a barrage of techniques that we know will help. However once you have had pain over several months, known as chronic pain, things change considerably. The local area you first hurt, although still feeling painful, actually often has very little to do with why you feel that pain. This may sound very complicated, however, it is actually a survival evolution. Our brains develop a “protective” pain memory. Unfortunately this is often movement related, so exercises you did initially, in the acute phase, when the hurt area was letting you know it was first injured, often down the line can become pain causing, simply because the brain’s protective shield it trying to now stop you moving at all for fear maybe you might get hurt again, not because you have actually damaged anything. Once an injury becomes chronic, it is so important your Physio helps you understand the neuroscience of what is going on. Understanding your fears regards the injury is essential. This may be fear of having pain, but equally could be based on things that have happened to friends who have the same pain, or fear of the impact the injury may have on your life and your ability to do things. Mood can also affect your pain; is life very stressful at the moment, are things all in a negative place? And fatigue can also impact. Understanding all these factors that can affect your pain is essential. OA was previously thought of as a “wear and tear” and that the joint was worn out. This led many people to believe they cannot and should not be physically active with OA. THIS IS NOT CORRECT!!! In fact, many studies have shown that cartilage actually needs moderate load through physical activity to regenerate itself. Exercise will make you feel better. Does My Child have Growing Pains or Apophysitis? As they grow, many children will experience an aching in their legs otherwise known as "growing pains". Little is known about why this occurs. 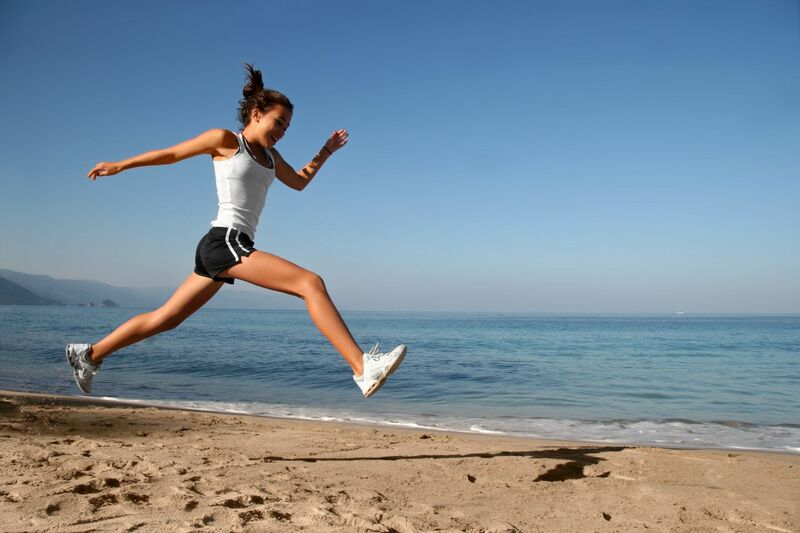 It is often at night and on days following excessive activity such as jumping and running. The typical areas to be affected by the front and back of the thighs, the back of the calves and the back of the knees. On these occasions heat and massage coupled with stretching can be very effective. What we must be careful not to miss is apophysitis. Immature athletes differ from mature athletes because of their open growth plates in their bones. These don’t fuse until into their teen years. The apophysis is a point of bone where the tendon attaches from the muscle to the bone. Repeated traction caused by the contraction of the muscle as the child exercises can pull on this bone attachment site. Rather than the tendon or the muscle being affected, the bone is affected. Tenderness is felt over the bony point but can also spread in a wider area around this point, making differential diagnosis from general growing pains difficult. Stretching and heat on this occasion can be the worst thing to do. This is when an assessment with a physio is beneficial. They will help to diagnose the cause of the problem and on some occasions imaging may be warranted. Concussion is a traumatic brain injury. More severe injuries include skull fractures and bleeding on the brain. 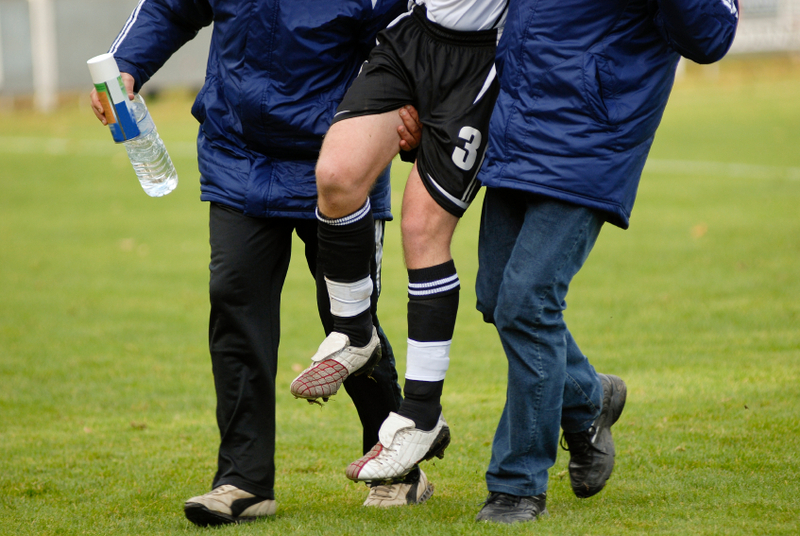 Concussion may be more mild but should not be underestimated. It is an injury sustained by a blow to the head, in Sport or play, usually from the blow with another persons head or the ground. The forces are transmitted to the brain, in a way stunning the nerves and thus affecting the ability of the brain to work. 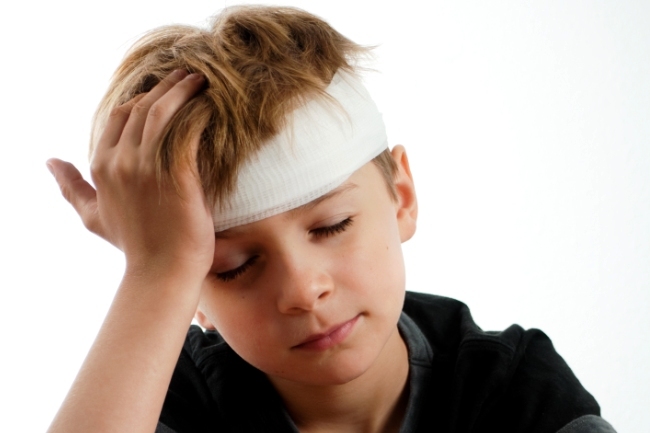 Concussion in children generally must be treated differently to that in an adult. Children’s brain are growing and developing. They have a need to continue to learn and aquire knowledge. As such the priority is to see them back to full school capacity before returning to sport. Because concussion can affect your child’s ability to learn and interact in the classroom, medical clearance should be sought to ensure your child has no ongoing concussion effects and can return to school. Until recently little was know about this condition, and even less about how to treat it. Physiologix is one of Brisbane’s leading hip injury clinics. They were one of just a few physio practices gathering data on this condition for a worldwide, first of its kind, massive trial running in Brisbane and Melbourne. The study compared 3 groups over a year. 1: exercise and education group, 2: a cortisone injection group, 3: a wait and see control group. The results have just been published in one of the worlds leading research journals, The British Medical Journal. Scott MacLean, a long time Physiologix client, came to us last year, having been selected to compete at the Invictus Games to be held in Toronto 2017. The Invictus Games is an international adaptive sport competition using the power of sport to motivate recovery, support rehabilitation and generate a wider understanding of the sacrifices made by the men and women who serve their country. Scott was selected for the archery event, not just as a competitor but as Australia’s Archery Captain. Are You or Were you Flexible: Things you really have to know! Nordic Walking Poles are a Must! 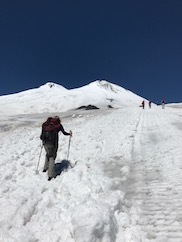 And Not Just for Trekkers - Lessons Learned From Russia! With many endurance events coming up, it is important to keep an eye out for OVERUSE injuries! Whiplash is an injury that occurs to the spine, especially the neck, with sudden rapid movement. This is usually after a car accident, but can occur with collisions in sport or with a blow to the head or body. Pilates – The Perfect Way To A Better Body! Physiologix is now offering a much larger range of sessions. All the Pilates is run and supervised ONLY by highly qualified and experienced physiotherapists. Firstly they will ensure you are able to activate your deep muscles correctly using ultrasound imaging, cutting edge technology. This is essential if you are to gain the full benefit of Pilates. They will then set up an individualised program specific to your issues, injuries, weaknesses and concerns. You then have a range of options again depending on your confidence, ability and affordability. Physiologix offers Pilates classes (max 6 people), smaller 3 person groups, orone to one sessions. The sessions utilise specialised equipment and exercises to ensure recovery and strengthening of muscles essential to having a stable, strong body. Pain On The Outside Of Your Elbow? 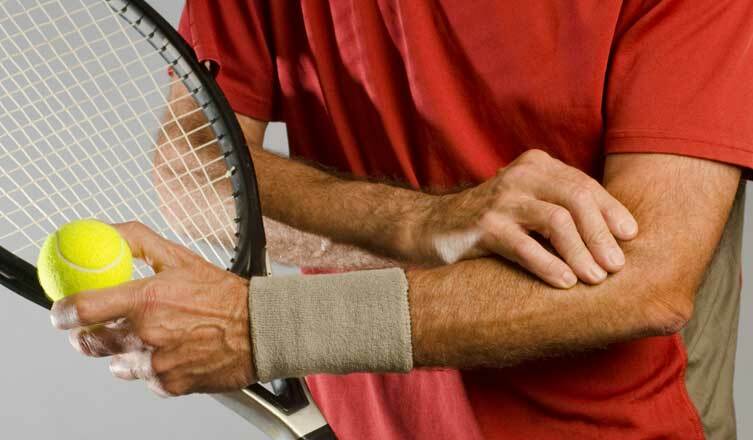 Tennis elbow (TE) is the most common elbow condition we see in the physio clinic. It is characterised by pain on the outside of the elbow and most prevalent between the ages 30-60. Although common in tennis players you do not need to have played tennis to get this condition. It is caused by an acute or progressive overload to the common extensor tendons in your forearm that perform wrist extension or lifting the wrist up. Some examples of overload may include after a weekend of excessive gardening, a busy period at work of typing and mouse work, lifting weights incorrectly and technique problems during sports. The physios at Physiologix work with elite sport and therefore are all too aware of how specialised working with kids and teenagers is and how their injury types are very very different to those found in adults and a correct diagnosis is often missed by a less experienced practitioner. Queensland running season is in full swing with the GC marathon done and dusted, the Brisbane Marathon Festival close by along with Bridge to Brisbane and the Sunshine Coast Marathon all within the month of August. Remember not every runner will benefit from the same things so if you are dealing with a running related injury it’s advisable to seek advice and/or treatment from a physiotherapist. Bag’s – we use them day to day, we use them when we travel. Our kids carry them every day to school. But the wrong bag, or carrying a bag the wrong way can have dire consequences. Gena Wallis (Physiotherapist) has joined the Physiologix Team, upstairs at the Gap Health and Racquet Club. Physiologix specializes in individualized, hands on solutions from experienced therapists with expertise. Gena is currently completing her Masters in Physiotherapy at the University of Queensland. She has a special interest in spinal injuries and with over 5 years teaching clinical pilates she has been involved in extensive rehab of these injuries, often including surgical recovery. Here she discusses some simple ideas to deal with back pain. Golf, swimming and tennis (or racquet sports) have much in common. 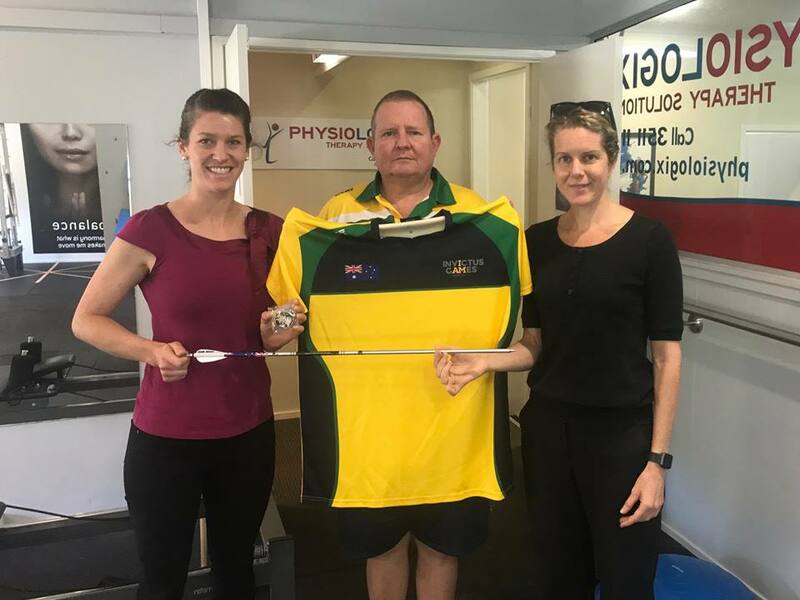 As a physio consulting at the National Tennis Academy and working at the Australian Tennis Open, Kirsty McNab’s (based in The Gap at Physiologix) job as a Sports Physiotherapist is not only to treat injuries, but to screen to prevent them and in doing so also ensure a stronger, more effective and efficient, better performing athlete. And there is much we can all learn from this and integrate with our exercise. Australian Physiotherapists Leading the World in Research. Physiologix Therapy Solutions prides itself on having experienced staff with a high level of expertise. They utilize the most up to date, hands on and exercise treatment skills. A component of this is being involved in research. This newsletter updates you on three major research trials in which Physiologix is currently involved and the evidence that has emerged from these trials thus far. Several of these trials will help to provide information that will be world leading in providing direction of the best treatment strategies of certain conditions. Australian physiotherapists are at the cutting edge of musculoskeletal research, and it is exciting to have this practice, here in The Gap, so involved. Sore Muscles After You Do Exercise? You May Have DOMS! Delayed Onset Muscle Soreness, or DOMS, is the fancy name for the pain and discomfort that is experienced the day after exercising. If you’ve taken some time off or even just changed up your routine a bit, your body is vulnerable to a few days of soreness. Lisa Southgate, a Physiologix Client, writes about her personal battle with back pain (published by Queensland Writers Centre), caused mostly by her occupation, sitting at a computer! She decided enough was enough and came to Physiologix for physio treatment to learn what she could do to change her situation. Here is how she became pain free through exercise and good self management. Thanks Lisa for sharing your story. Bunions – Get Your Big Toe Into Line! Bunions, or Hallux Valgus if you want the medical term, are a condition where the metatarsal bone of the foot and the first bone of the big toe, the proximal phalangeal, start to change angle so the big toe starts to point in towards the other toes. Long term it develops to become a very painful condition making it hard to walk and uncomfortable to wear many pairs of shoes. Eventually surgery is often required, an operation that requires a fair bit of pain (feet are very sensitive) and a long rehab stint. Not wanting to go down this path? Can we do anything to help prevent the condition worsening? Of course you can. Please read the article below (written brilliantly by Michael Prain) and pass it on to all the parents you know. 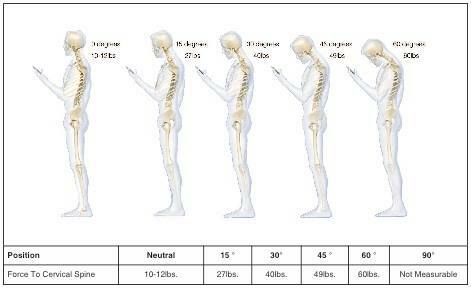 We have to think about what the i-technology era is doing to our own and more importantly our kids spines. If we don't look after our children's spines now, we are setting them up for a future of bad health, headaches, pain, medications and health practitioner visits, possible disability and difficulty working.....the list goes on. 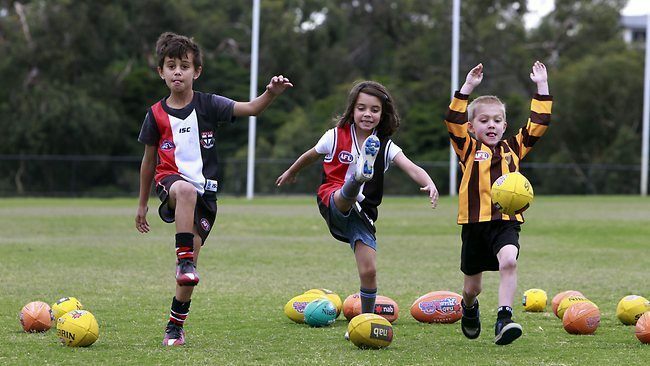 Can We Prevent Our Kids Hurting Themselves in Sport? The answer is YES! A massive study in Scandinavia looked at 120 handball teams, 1837 players aged 15 to 17. The aim was to see if the number of acute ankle and knee injuries could be reduced in the season by doing a good, sports specific, injury prevention warm up. Over the season the number of injuries in the group that didn’t do a good warm up was 81 versus the group that did do the specific warm up was only 48. 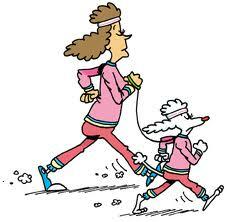 As a parent, speak with the team coach and/or your child and ask what kind of warm up is being done. If you think it is not up to scratch, maybe send coaching staff the link to this article – no good coach wants to lose players over the year. Patello-femoral pain is pain related to the knee cap at the front of the knee. It is unfortunately a complaint that we often see at Physiologix. It can occur in all age groups from kids to teenagers, to adults both young and old. Often pain is aggravated by activities such as walking, running, squatting, stairs and prolonged siting. A recent review has tied together the best evidence from only very good quality studies as well as from some of the worlds leading clinicians in this area. Several definite themes came through for successful treatment for what can be a difficult condition to treat. In the past we have been taught many different ways to help pain caused by an injury, maybe ice, rest, pain killers, stretching, to name a few. 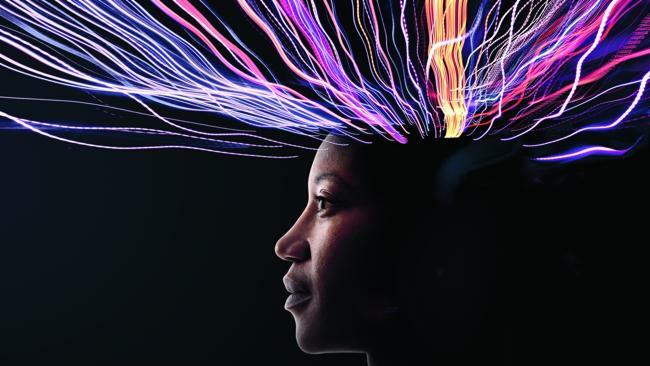 But how the brain detects what is happening in the body and as a result spits out a “I am hurting” message is becoming more and more realised. In a recent study into tendon injuries, it has been shown that you can change the part of the brain that feels sensation by doing different types of exercises. How are those New Year’s resolutions going? Getting fit and healthy has been the aim for so many of us. Exercise should be seen like a balanced diet: you need bits of everything, cardio, strength, balance, flexibility to name a few. iPhone neck? Yes, you heard it right. And no, HTC and Samsung users are not safe! 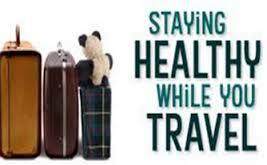 Christmas Travel Tips From Physiologix! With the festive season and summer holidays under way, many of us are thinking about taking little (or big!) adventures to visit family, check out a new little camping spot, or fly overseas for a little winter trip. Traveling can be hard on the body, and so we’ve come up with a list of PHYSIO travel tips to help you stay as comfortable as possible so that you can have a fantastic time with your festivities. Orthotics Or Not? Are We Doing the Best For Our Body? Orthotics can be used to help alleviate pain for a number of different injuries from the back, to the hip, knee, ankle and foot. But when and why are they best used? Can there be a negative affect of orthotics and is there another way that may be better to help resolve these injuries? Children and adolescents are a specialist age group for a physiotherapist to work with. On a physical level, their injuries are very different to adults since they have different pressures relating to their growth, hormones and the development of their still growing musculoskeletal system. They are also different on an emotional level. This means that it’s important to consider how these differences can impact on the support for your injured child. Here are some things we have learned in our practice. Its All About Balance... Literally! Balance could save your life. Can you stand on one leg without holding on? Can you stand on one leg while turning your head to look from left to right? Can you stand on one leg with your eyes closed? 1. The knee cap or patellofemoral pain. This is the joint when the knee cap meets the thigh bone. The knee cap is supposed to sit in a small groove. However sometimes this alignment can be affected, known as patella maltracking. Pain is usually behind the knee cap and felt with tasks such as going down stairs, squatting, walking or running. 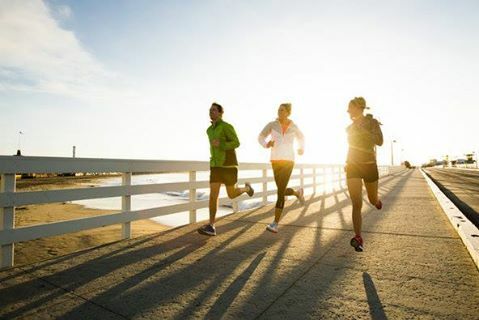 Want to Run but don’t know where to start? Do you have pain deep in your buttock muscle over your sitting bone? Insertional hamstring tendinopathy is a very medical sounding term for a condition that is very often misdiagnosed. The hamstring muscle is the huge group of 3 muscles that run up the back of the leg. They attach around the knee at the lower end and into the sitting bone at the top of the leg. The tendon is what attaches the muscle to the bone. It can sometimes rub on the sitting bone (ischial tuberosity) becoming irritated and sore. The pain is usually around the sitting bone and often refers down the back of the leg. Sitting can be a problem, especially on hard chairs. Walking up hills and stairs is also painful. People will often have to stop running or exercising due to the pain. The Thoracic Spine – Silent, Yet Deadly! Is your back or neck playing up? It could be your thoracic spine to blame! The carpal tunnel is a natural tunnel formed at the front of the carpal, or wrist, bones. Several different structures run through the tunnel including the tendons that run from the fingers and hand up the arm to the forearm flexor muscles. Also in the tunnel sits the median nerve. When this nerve becomes affected in the tunnel, the condition is called carpal tunnel syndrome. Good posture is always talked about but why is it so important. At the end of the day we are a bunch of bones. To keep those bones aligned into a good position we need muscles. If we align our body well then not only are our bones in the right position but our muscles are working in balance to hold our bones there. Dalibor Bendzala is a soft tissue (massage) therapist for a number of elite sporting teams and is based at Physiologix, The Gap. Here he shares some of his experiences working with elite Australia Sports Teams. One of the key components to injury prevention at Physiologix is Pilates. Pilates was initially developed by German, Joseph Pilates, during the First World War, to rehabilitate injured soldiers. It then became popular with dancers and performers as a way to stretch and strengthen the body, through a gentle but effective workout. Pilates has continued to become increasingly popular, due to its focus on posture and good alignment. Physiotherapists now widely use Pilates as an enjoyable and extremely effective way to prevent, and rehabilitate from injury. Muscles contract and relax to allow the body to move. You may use them to move the body faster and therefore gain better cardiovascular fitness. You may want to hypertrophy and strengthen them with weights. There are so many ways to train, use and strengthen the muscle system. However muscles also break down. They can develop trigger points which are points within the muscle that are excessively tight. This creates an imbalance through the muscle and can result in pain and discomfort. Remedial massage, trigger point release and dry needling are fantastic ways to release these trigger points, stop the pain and gain healthy muscle tissue. Whole muscles can become tight. This is often due to poor postural positioning when doing an exercise resulting in incorrect use of a muscle and, as a result, a constant feeling of tightness that seems impossible to get rid of. Releasing the muscle using soft tissue massage helps reduce the tight sensation. Patello-femoral pain syndrome (PFPS) means pain relating to the patella (knee cap) and the femur (thigh bone). The knee cap sits in a small grove in the femur and slides up and down in this grove. If for some reason the patella is not correctly aligned in the grove then pain can result. This is known as patello-femoral mal-tracking. Summer is upon us and with that thousands of people are taking to the streets and running. One of the main complaints we see with runners is ITB friction syndrome. The iliotibial band is a fibrous band that runs down the outside of the thigh attaching just below the knee. It crosses a bony point called the lateral femoral condyle just to the outside of the knee and here it can rub, causing a frictioning resulting in pain. This rubbing can occur, amongst other things, because of poor biomechanics. It is often related to poor foot control, a rolling in of the hip and knee due to poor strength (usually of the gluteal, or buttock, muscles) and an overuse and tightness in the muscles at the outside of the thigh. So what can you do? This month we look at knee arthritis. Most people that exercise will at some time experience knee pain. Links have been made between pain that doesn’t settle and the development of osteoarthritis. So if you have any knee pain get it looked at as soon as possible and learn what you need to do for successful rehabilitation. 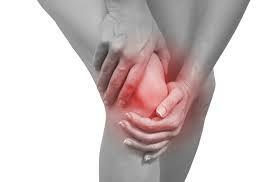 Knee osteoarthritis (OA) is the general wear and tear of the knee joint. The symptoms of OA are pain and stiffness in the knee joint and can be mild, moderate or severe. Lumbar spine pain, or pain in the low back, can be caused by a plethora of things. These may be factors to do with injury in the spine, such as degeneration, disc bulges, and scoliosis. Or they may be due to stresses and strains put on the spine, such as prolonged sitting, excessive lifting or bending, poor posture. Whatever in going on internally to cause your pain, we can take some simple steps to help protect our back. All the ideas below must be pain free – any problems then get in touch and our physios will help adjust things precisely for your injury. Rotator Cuff Injury - What is it? The rotator cuff are a group of four small muscles that wrap around the shoulder joint, ensuring that the ball of the arm bone, the humerus, stays central in the joint, the glenoid. The shoulder joint has to move through a huge range of movement to allow us to place our hand wherever we need to. The joint relies on these rotator cuff muscles to keep the ball in the shoulder socket while we do these movements.